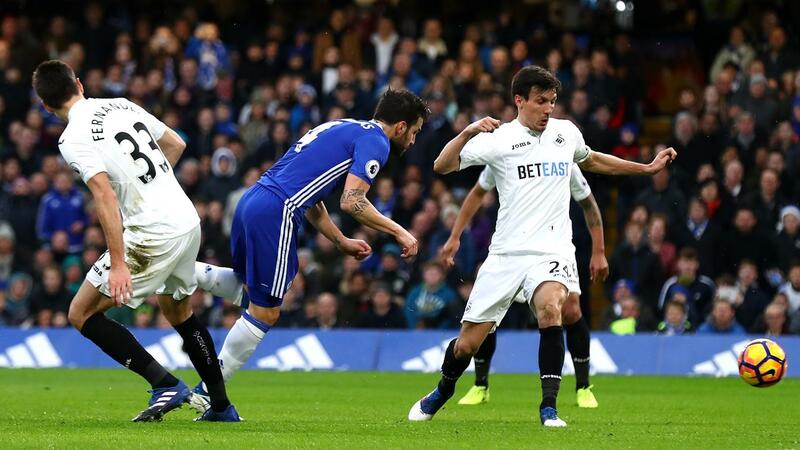 A goal and an assist from Cesc Fabregas (£6.9m) steered Chelsea to victory over Swansea City, with the playmaker rewarded with the maximum Fantasy Premier League bonus points. Fabregas attempted more passes (103) than any other player in Gameweek 26, completing 84%. He also contributed 10 recoveries and two successful dribbles to post a Bonus Points System (BPS) score of 48. Meanwhile, Pedro (£7.0m) matched his team-mate's goal and assist returns and completed five dribbles to tally 43 in the BPS, picking up two bonus points. Fernando Llorente (£6.2m), who headed Swansea's equaliser on the stroke of half-time, was awarded the final bonus point. The target man finished with a BPS total of 28 having also contributed three recoveries. After being tackled on five occasions and committing two fouls, Diego Costa (£10.7m) ended with a BPS score of 26, edging him out of the bonus points despite supplying Chelsea's third goal. Fabregas was the standout performer in the ICT Index across all of Saturday’s matches, with a score of 19.4. The Spaniard ranked first for both Creativity (69) and Threat (51) at Stamford Bridge, having produced five shots on goal, with three arriving from inside the box. He also laid on five chances. Eden Hazard (£10.3m), who provided the assist for Costa’s strike, ranked second in the Index with a tally of 10.6. The Belgian made more passes in the final third (36) than any other player on the pitch, providing three chances to score 42 for Creativity. 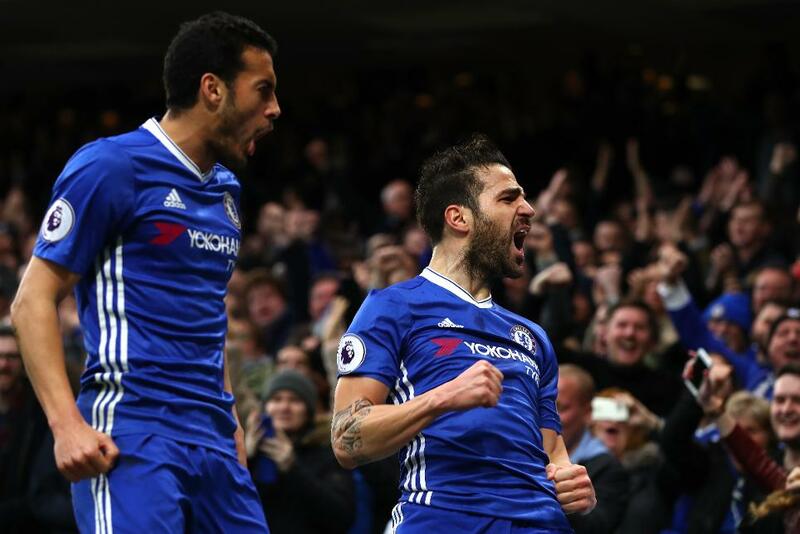 With Fabregas and Pedro boasting ownerships of 1.8% and 7.4% respectively, Chelsea's FPL differentials came to the fore on Saturday. Replacing Nemanja Matic (£4.9m) on the Blues' teamsheet, Fabregas put forward a convincing case for a regular role. He has produced either a goal or an assist in each of his last five starts but still remains a risky FPL investment. Pedro is a far more secure proposition. Having started in five of the last six Gameweeks, he continues to hold off the challenge of Willian (£7.0m) for a role on the right flank. Pedro has delivered three goals and an assist over those six Gameweeks, producing more points (39) than Hazard (32) in that spell to offer to give the Belgian's 32.8% ownership food for thought. Signed by more than 26,000 FPL managers, Pedro is second only to Southampton's Manolo Gabbiadini (£6.6m) ahead of Gameweek 27 for transfers in, despite Chelsea missing a Gameweek 28 fixture due to their involvement in the FA Cup quarter-finals. Swansea are one of only eight sides to offer a guaranteed fixture in that Gameweek when they travel to Hull City. Llorente’s first goal since a brace at Anfield in Gameweek 22 provided a timely reminder of his potential. Nearly 20,000 managers have swooped for his services following Saturday's strike. Gylfi Sigurdsson (£7.6m) is the other big draw in the Swans' ranks. 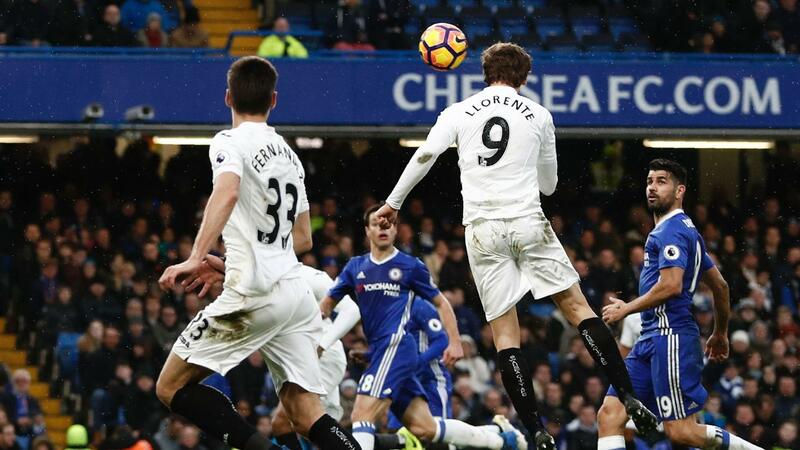 His delivery for Llorente's header means that the Icelander has produced a goal or an assist in six of seven starts since Paul Clement's arrival as head coach. More than 25,000 FPL managers have acquired Sigurdsson ahead of the Gameweek 27 home meeting with Burnley.